Since I discovered that today is Rainbow Dash Day I thought I should do a collage on her featuring alongside my five artworks of her that I had done on my artwork books. Same here besides that she's one of my favourite characters of MLP besides my first three favourite ponies: Twilight Sparkle, Sunset Shimmer and Starlight Glimmer. 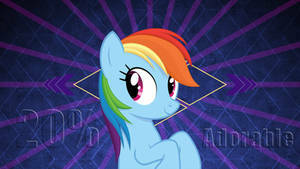 My favorite of all the Mane Six.